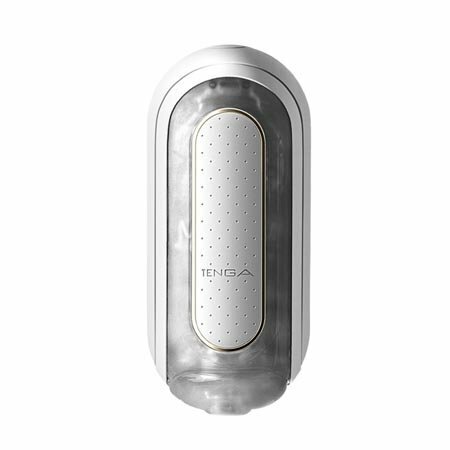 The Tenga Flip Zero Vibrating Stroker adds strong, rumbling vibrations from within the elastomer sleeve via two separate motors, bringing another level of stimulation to this popular design. 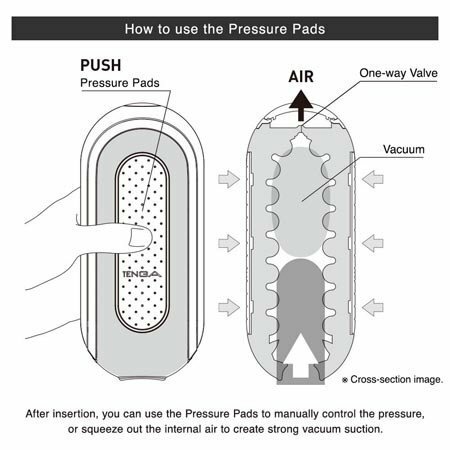 Featuring a seamless insertion point to provide a perfect seal for no lubricant leakage, plus a strong vacuum made possible by a one-way valve. 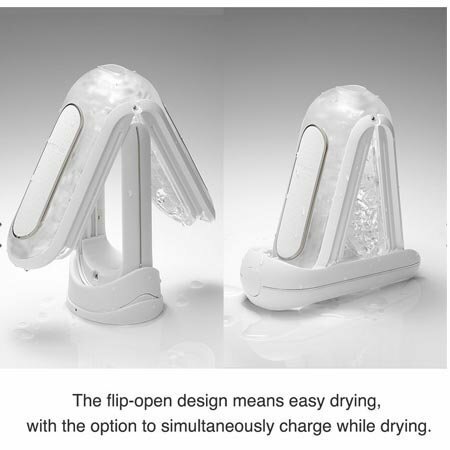 Intricate internal details offer great sensation, and the ability to flip open the toy for cleaning and air drying allows you to keep the item in great shape for hundreds of uses. 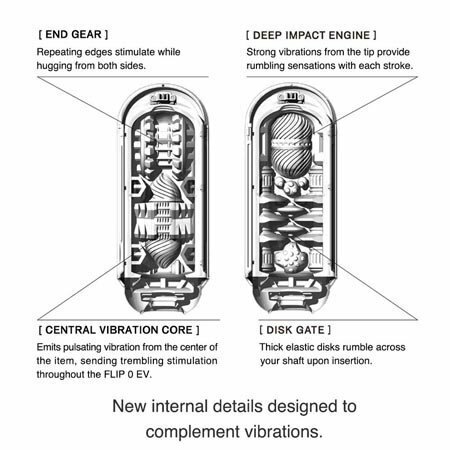 Single-button controls. Press and hold to turn on/off. 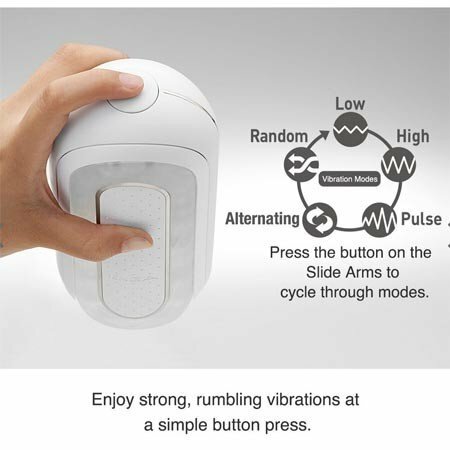 Press button to cycle modes. Product body and slide arms are waterproof. Charging base is NOT waterproof. 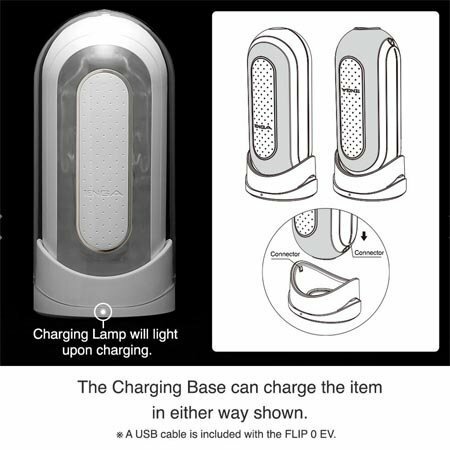 Included Parts: Product body, slide arms, clear case, charging base, USB cable, two pouches of Tenga lube, user manual. Main body made of TPE and ABS plastic.